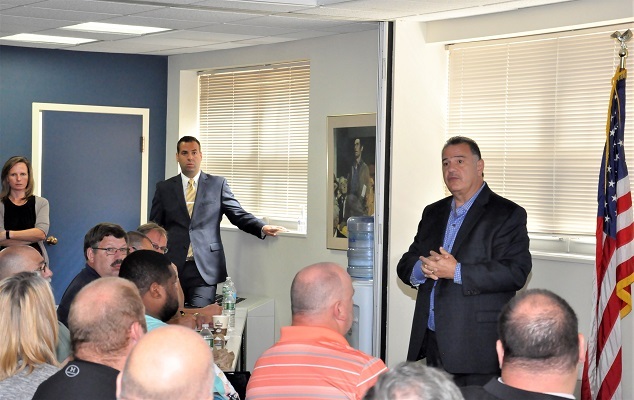 Machinists flooded the New York State AFL-CIO in Albany to attend a training session for union members, officers, and staff on labor’s opposition to a constitutional convention. 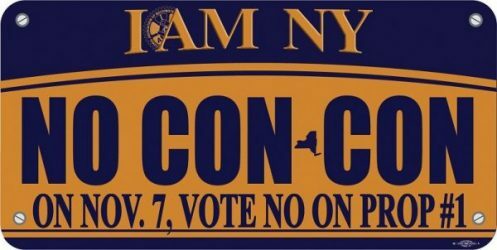 On November 7, New Yorkers will vote on a once-in-a-generation ballot question on whether to empanel a delegates’ convention to amend the state constitution. Every twenty years, New York State is required to give voters the option, via a ballot question, of opening up the State’s constitution in a convention. Presentations included the rollout of a broader campaign to organize union members across New York to convey the importance of a NO vote on the constitutional convention. The convention would be run by political special interests using a “wish list” of “reforms” from big corporations, with the goal of stripping away some of the best labor protections in the country. Already signed the pledge? Click here to find a Labor-to-Labor walk or phone bank near you to help Get Out The Vote!